Automatic defense against hacks, malware, spam, data loss, and downtime. Be alerted about any unexpected downtime the moment it happens. Receive an email or push notification in the mobile app the instant Jetpack detects your site is down. Get alerted again when the downtime ends, along with information on how long your site was inaccessible. Guard your site against brute force login attacks, spam, and harmful malware injections. Have peace of mind knowing hackers and bots can’t force their way into your site. Review comments and form submissions flagged as spam, and get alerted if a potential security threat is found in your plugin or theme files. Easily rewind your site to a previous state if you make a mistake. 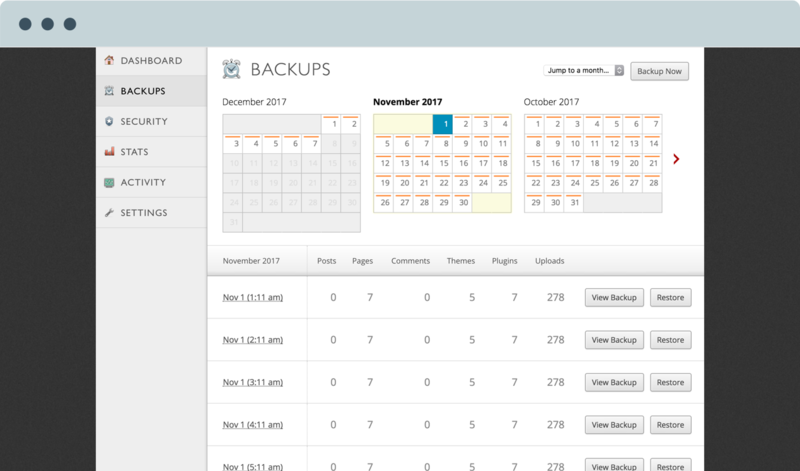 Keep full, real-time backups of your WordPress site and contents with no storage limits. Choose the date, time, or specific event you want to restore your site to, then roll back in just a few clicks. Let your visitors see your images and videos at blazing-fast speeds. 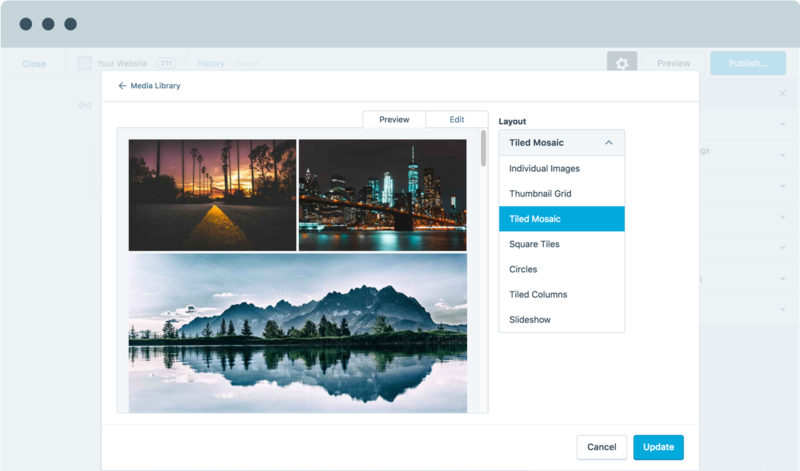 Embed high-resolution photos on any page without slowing down your site. Site load time can affect you in multiple ways, from visitors leaving quickly to search engine penalizing your rankings for slow speeds. Upload unlimited photos to the free Jetpack Content Delivery Network (CDN) and we&apos;ll handle delivering them to visitors at the proper resolution and at blazing-fast speeds. Jetpack’s video-hosting service uses the same high-speed content delivery network we use for photos&comma; and is completely ad-free. 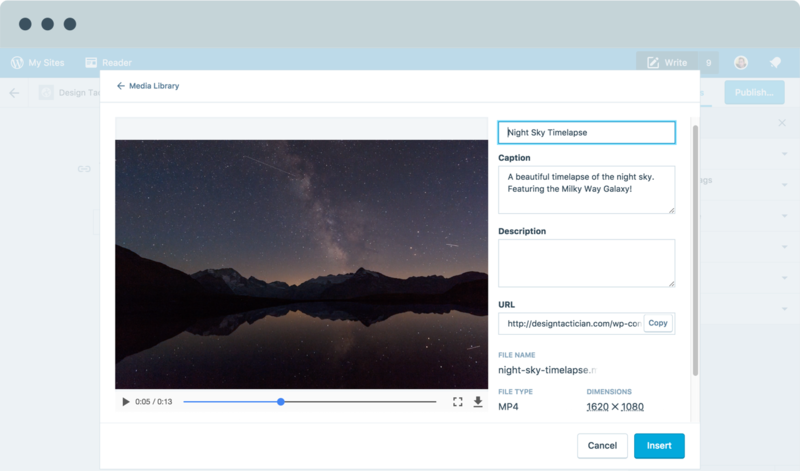 Upload your videos directly into the WordPress editor and we&apos;ll automatically embed them into our custom video player. Never worry about large videos taking up space and using up bandwidth from your hosting plan again. Our unlimited Video CDN comes as part of our Premium and Professional plans. If your site has an abundance of photos, you don’t want to drive visitors away by making them wait for your content to load. You also don’t want to sacrifice quality by compressing or resizing your graphics or photos. 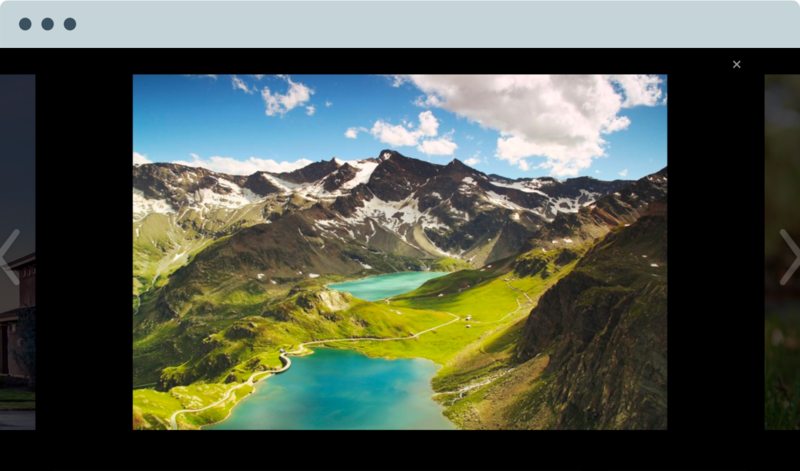 Our free lazy loading image feature displays photos as a viewer scrolls, rather than showing a blank screen until all photos on the page load. Bring your ideas to life with elegant and professional designs. Choose from hundreds of professional themes perfect for any blog, portfolio, or business website. Preview changes to a theme’s colors, content, and layout before making them permanent. Customize your site with endless widget options, image galleries, and embedded media — all without touching any code. 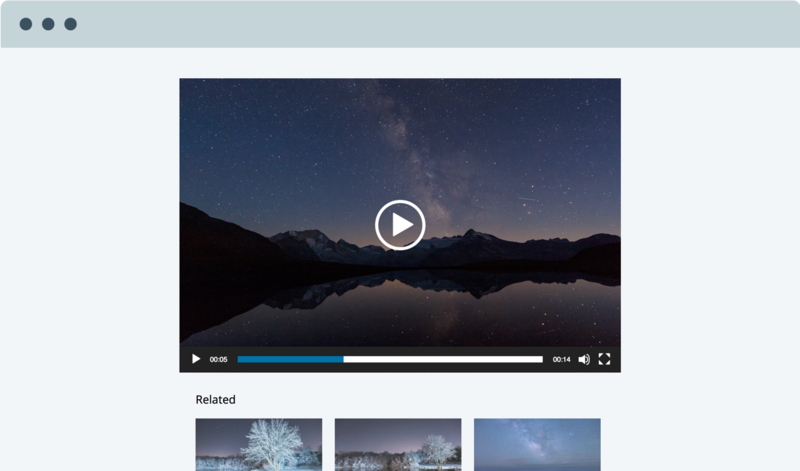 Embed high-resolution photos and videos on any page without slowing down your site. Automatically upload new media to the Jetpack content delivery network to deliver it to visitors in the proper resolution and at blazing fast speeds. Stream all your videos in high quality and without any watermarks or ads. Enhance your site search with an Elasticsearch-powered service for faster and better results. 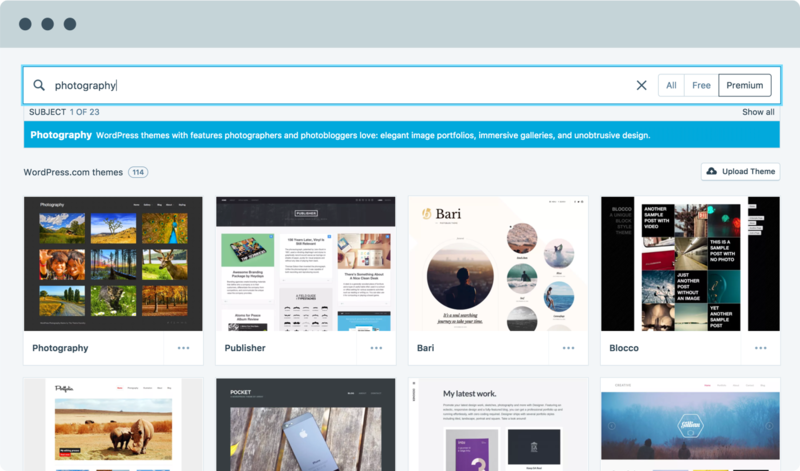 Showcase your portfolio and make articles shine using rich media. 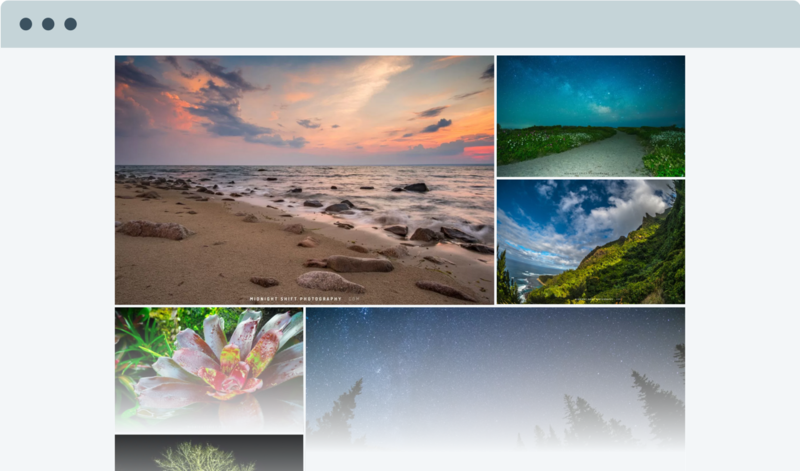 Create beautiful experiences with carousels, tiled galleries, and full-screen slideshows. Embed anything from a video to a tweet to a recipe directly onto your site. Use Google Photos to manage your WordPress media, or find the right image for your story with our free stock-image library provided by Pexels. Reach more people and earn money with automated marketing tools. Explore detailed insights on your most successful posts, or identify missing content your site visitors are already searching for. Schedule promotions of your content to social media sites in advance to save time and hassle. 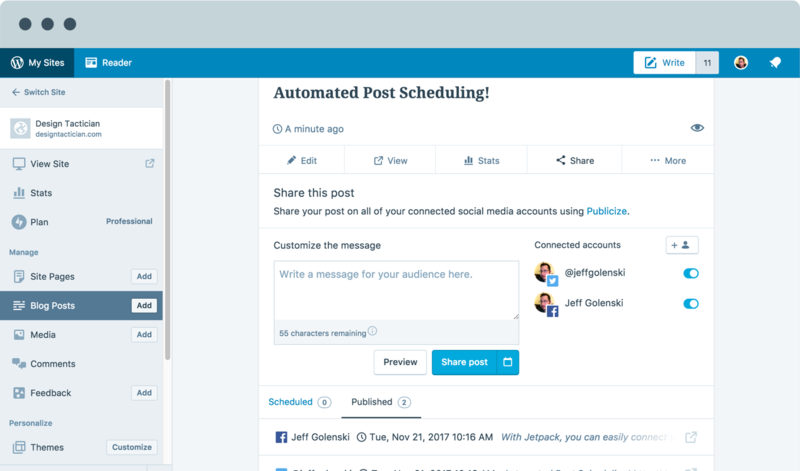 Add additional social shares for previously published posts, and schedule them for the days and times that work best for your audience. Automatically show your readers related content to increase page views and time on site. Generate revenue from your site with high-quality ads and payment options. Show unintrusive ads to your visitors on the pages and locations of your choice. 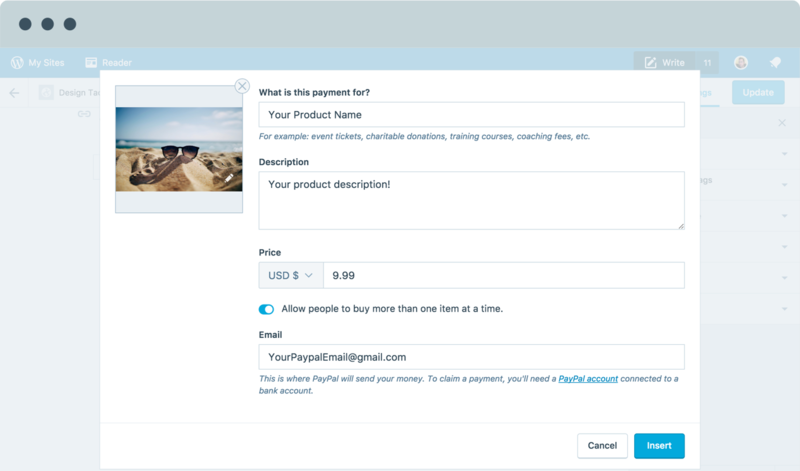 Take payments for goods and services or accept donations with simple, easy-to-use PayPal buttons. 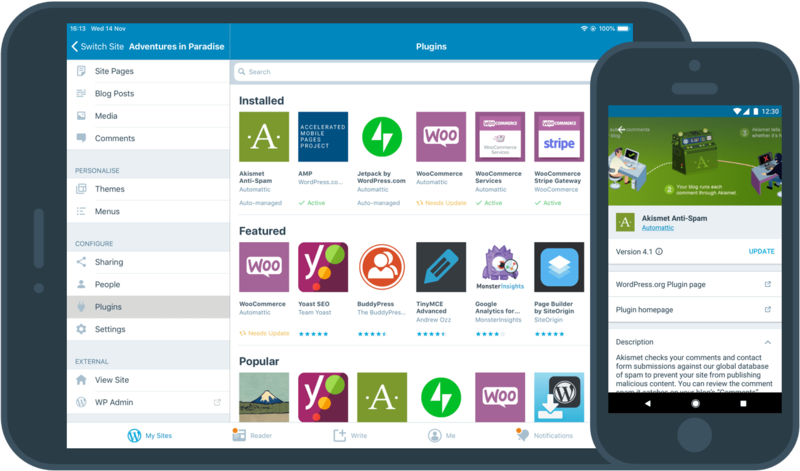 Manage your WordPress site on the go with our fully-featured app. Make updates to your Jetpack site at any time, from any device. 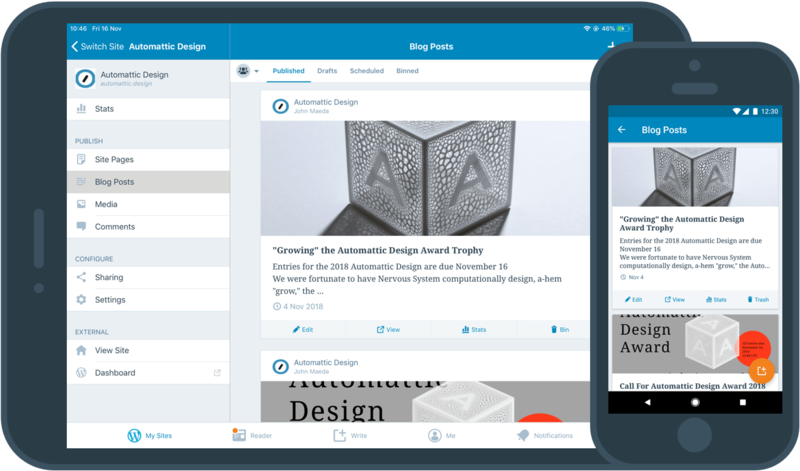 Have a seamless WordPress experience across your desktop, tablet, and smartphone. 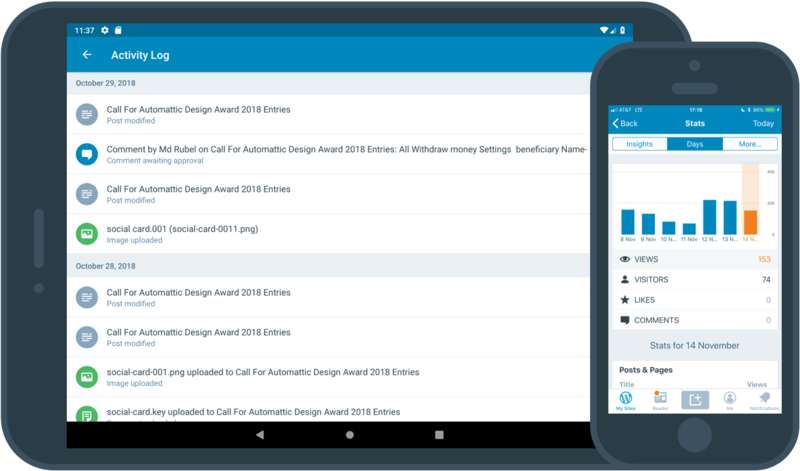 Use our mobile apps to publish new content, upload photos directly from your device’s camera, or fix that typo you missed. Keep up with your site’s activity, even when away from your desk. Sneak a peek at your stats on your morning commute. Discover where your readers come during your lunch break. 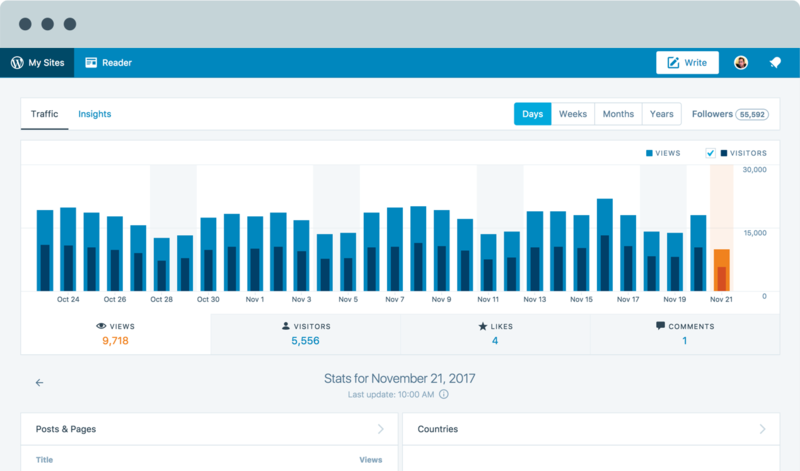 Check notifications to keep conversations flowing with your followers, and keep your finger on the pulse of your site with a full record of every update and change. 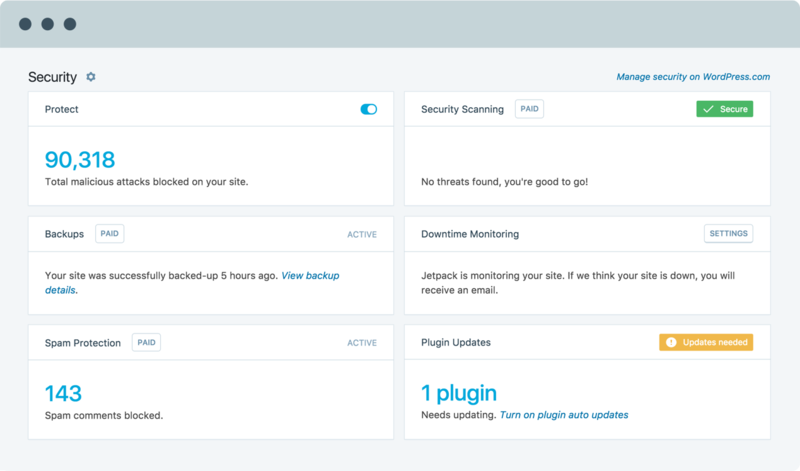 Jetpack makes sure your site is always online, up to date, and secure. Ensure your site’s security by staying up to date with the latest versions of plugins and themes. Update them anytime from the app, or turn autoupdates on let Jetpack do the work. 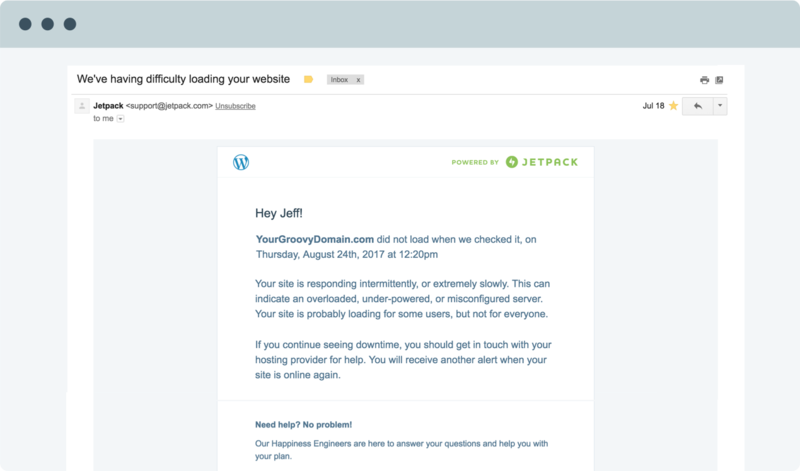 Jetpack monitors your site for downtime — if anything’s off, it instantly sends a push notification to the mobile app. Did we mention world-class support? Our international team of Happiness Engineers are ready to help! We offer support for all free customers and priority support for our various paid plans.